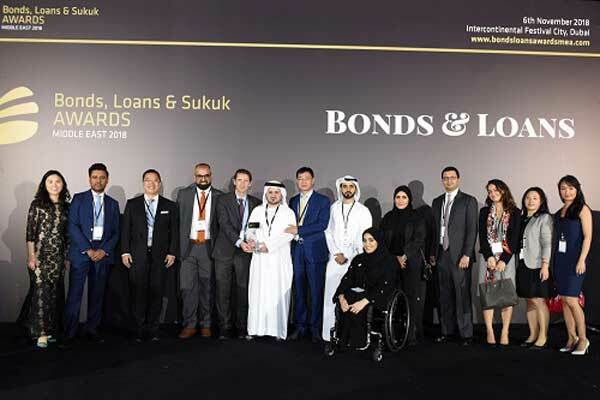 Sharjah's government has won the “Sovereign Debt Finance Deal of the Year” award at the recent Bonds, Loans & Sukuk Awards Middle East held in Dubai, UAE, for the successful issuance of an RMB2 billion ($316 million), Panda Bond. The Sharjah government's move is aimed at raising the emirate’s profile among Chinese investors. The Finance Department raised RMB2 billion in China’s Panda bond market with a coupon rate of 5.8 per cent in February 2018 and maturity in February 2021. The lead bookrunners for the bond were Bank of China, while ICBC was the joint bookrunner and HSBC, and Standard Chartered Bank acting as joint lead underwriters. Abdellatif Mohamed, the director of debt management office at Sharjah Finance Department, received the top honour at a gala awards ceremony. The Bonds, Loans & Sukuk Awards Middle East awards are being presented by leading international media organisation GFC Media Group in recognition of excellence and outstanding achievement among issuers, borrowers and market professionals.